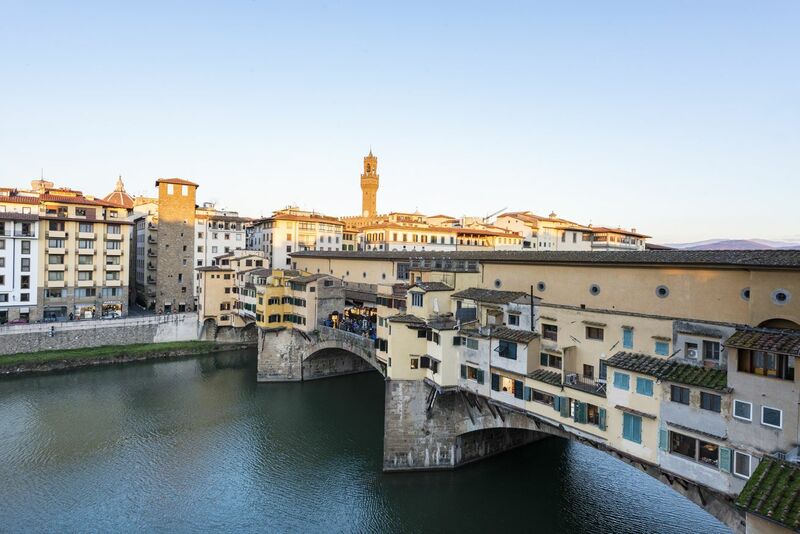 Spend your holiday in heaven, just a few meters away from the world's most famous bridge! 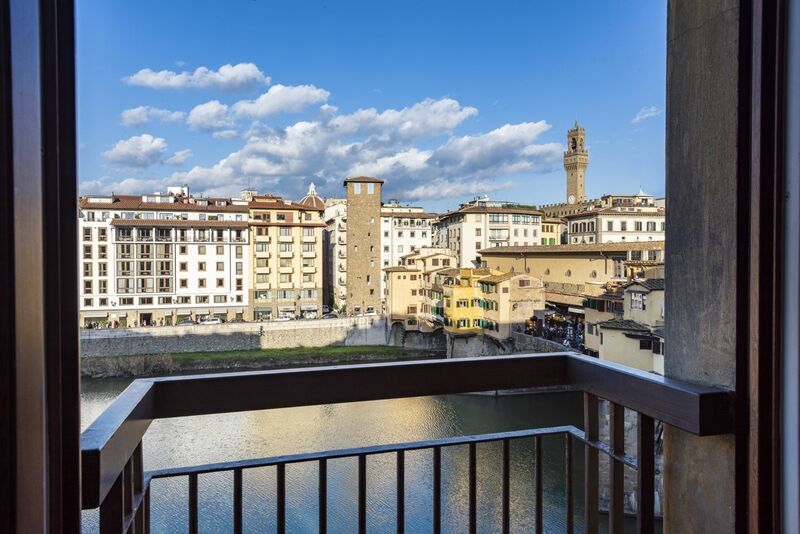 An exceptional mix between modern and traditional interior design stunning balcony facing Ponte Vecchio and the Uffizi Gallery! 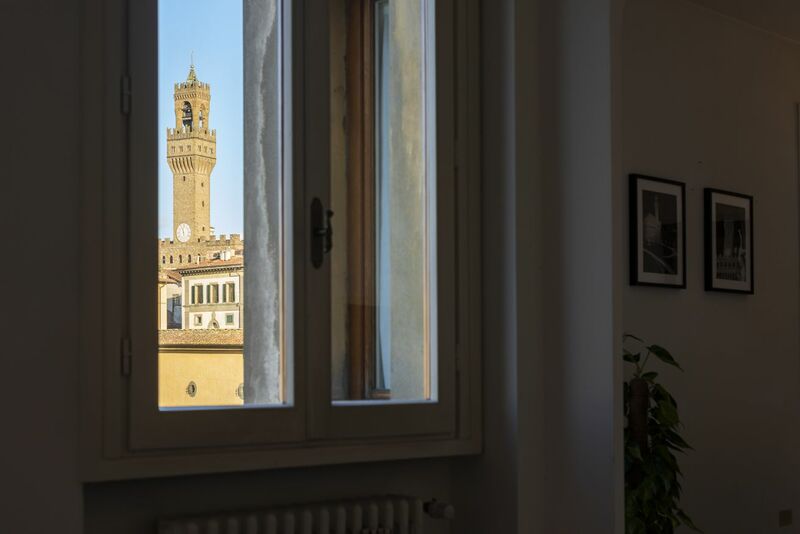 This gorgeous apartment is located on the third floor with elevator – very rare Feature in downtown Florence! 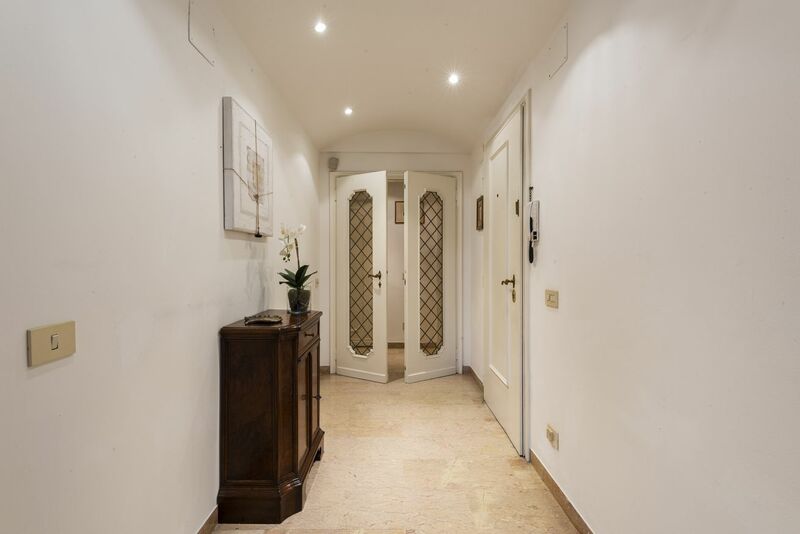 - on an elegant building in Borgo San JAcopo, a charming street literally just a few steps away from Ponte Vecchio, in the Oltrarno area. 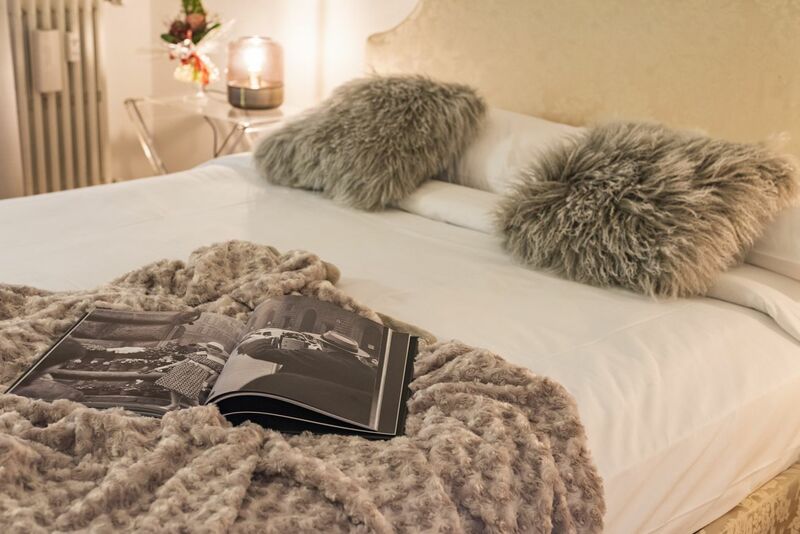 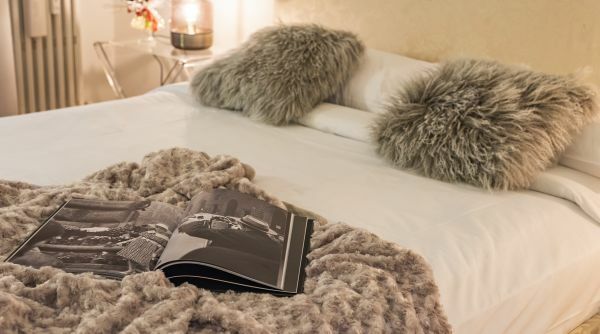 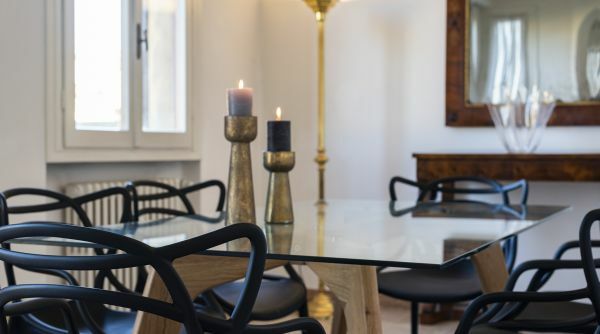 The whole place exudes elegance and good taste, thanks to the recent and refined redecoration which combines comforts, contemporary style and rustic, colorful touches. 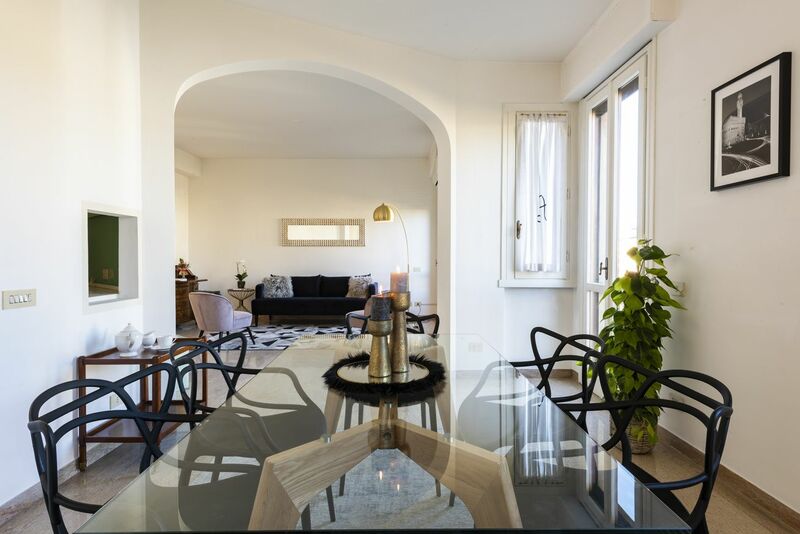 Natural light literally floods the place thanks to the sunny windows. 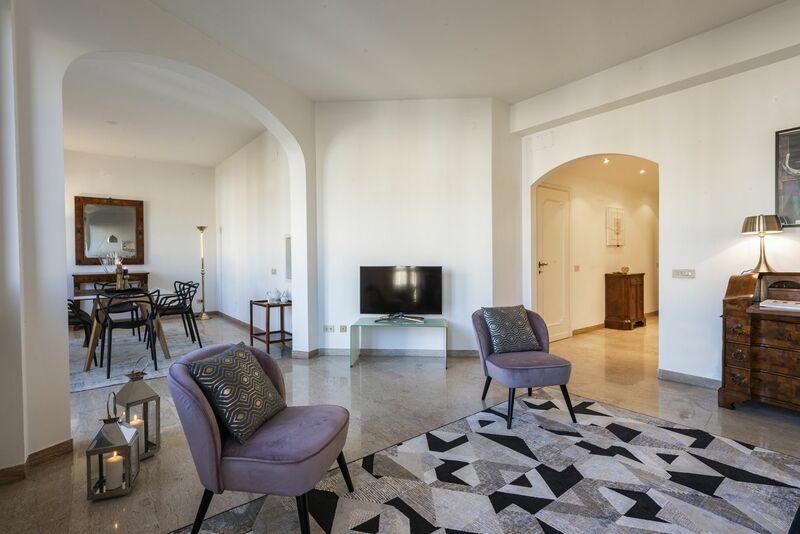 As you enter you find the spacious and bright living room features a sofa and two modern armchairs and a beautiful dining table. 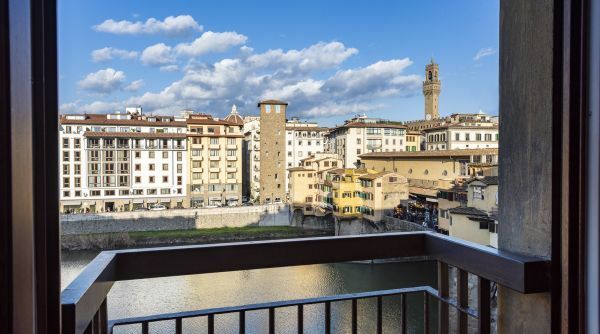 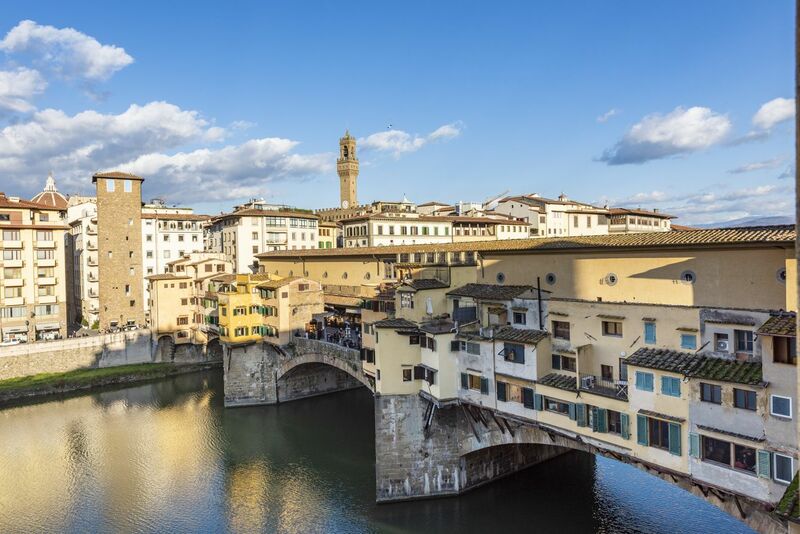 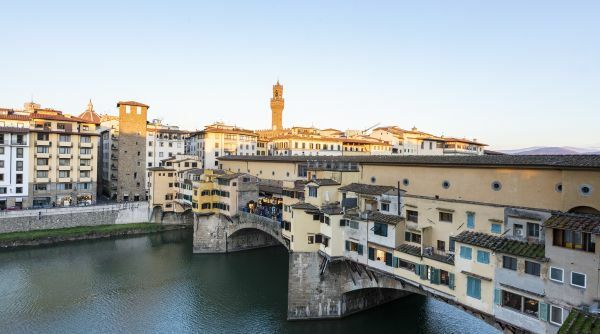 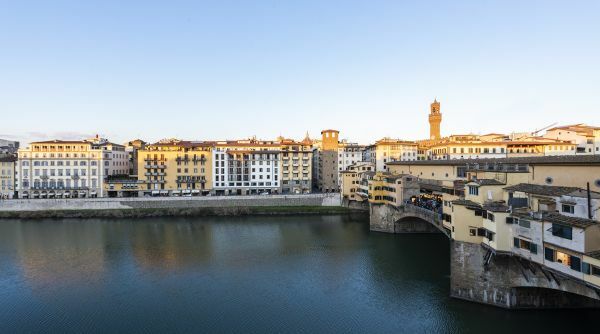 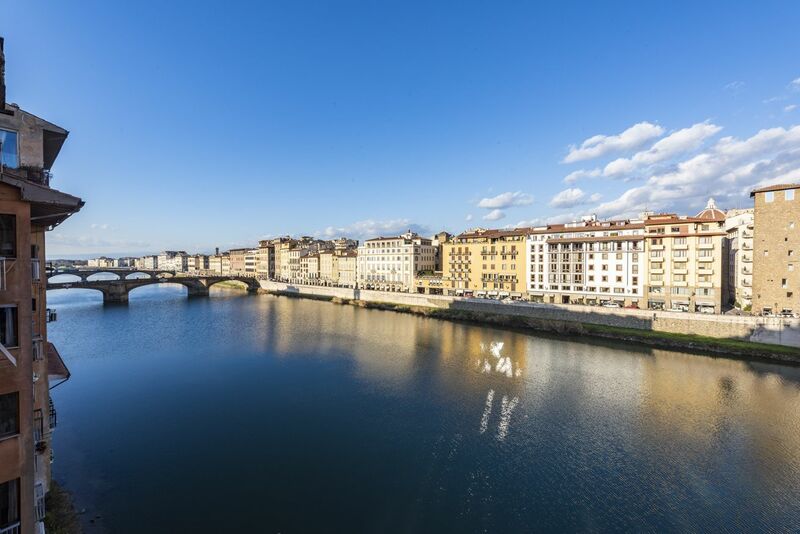 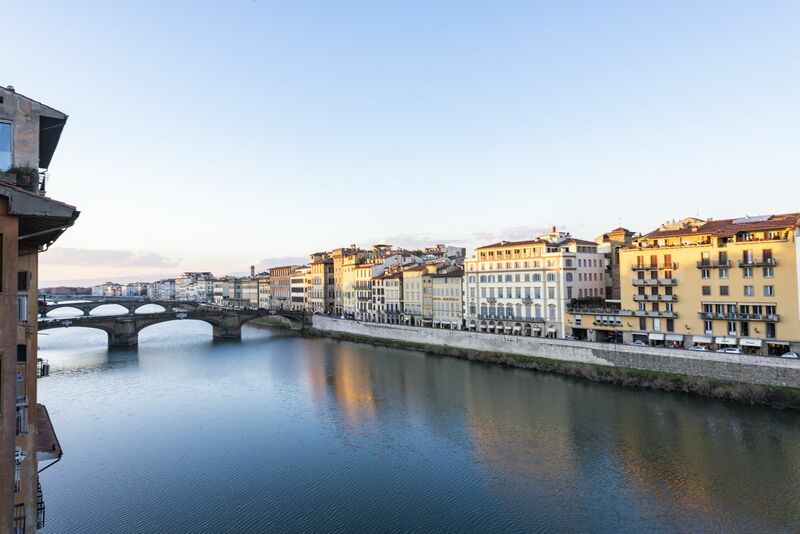 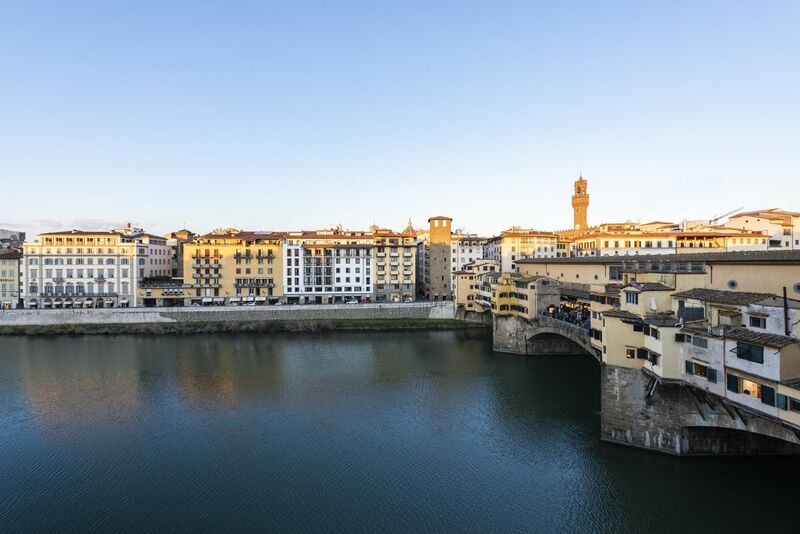 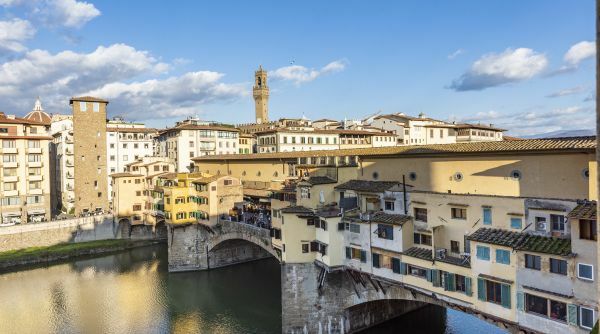 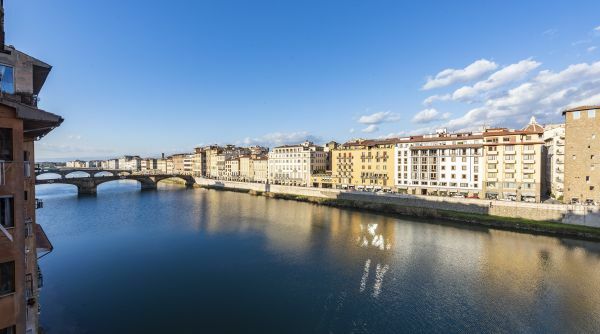 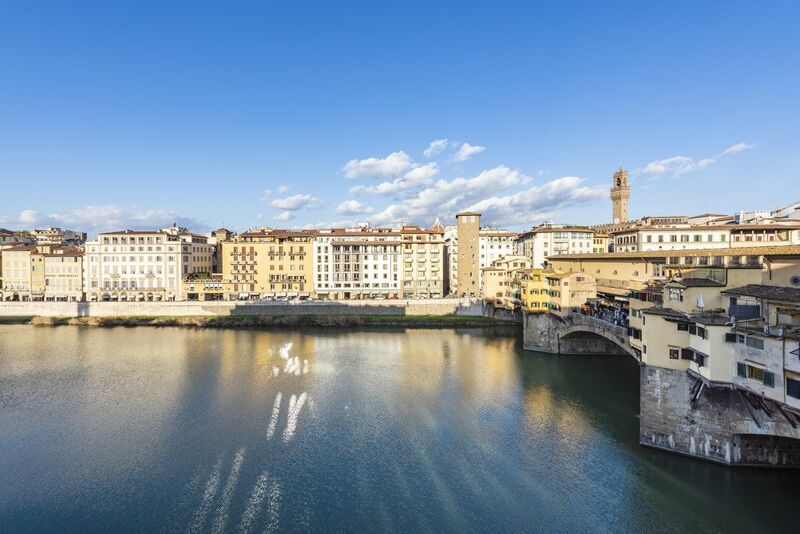 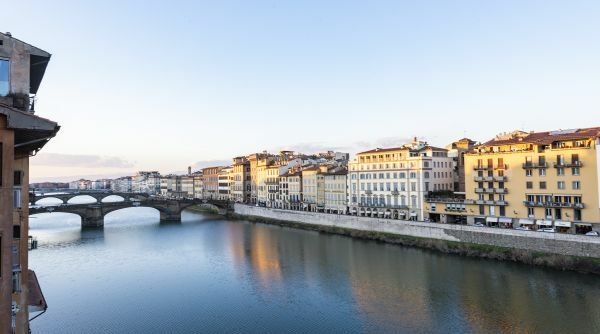 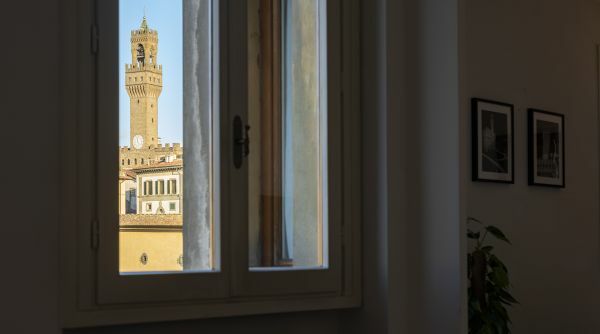 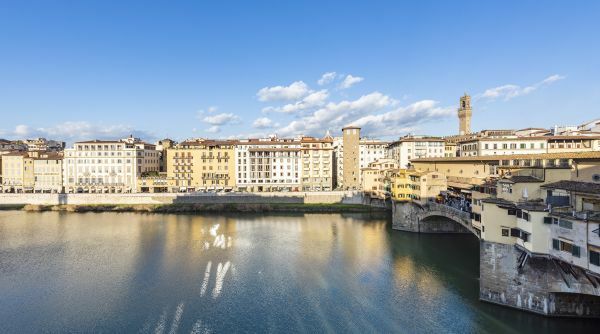 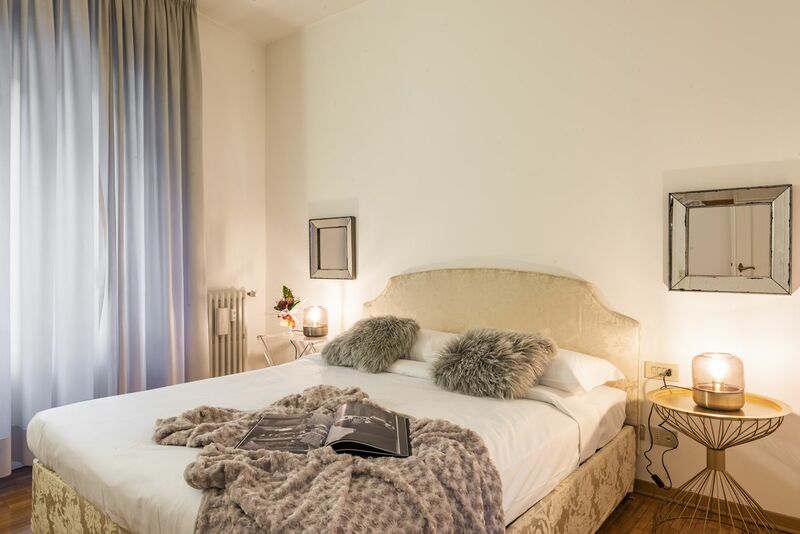 Its windows open onto a splendid outdoor small balcony overlooking the Arno River, providing a wonderful view on Florence’s most famous monuments. 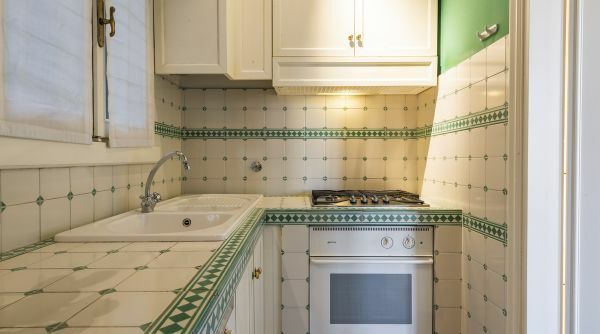 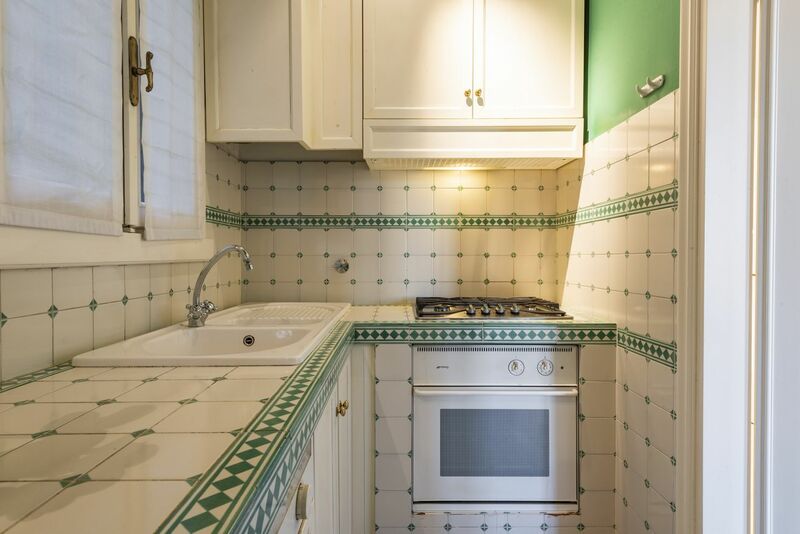 The fully equipped kitchen is provided with anything you may need to cook you everyday meals. 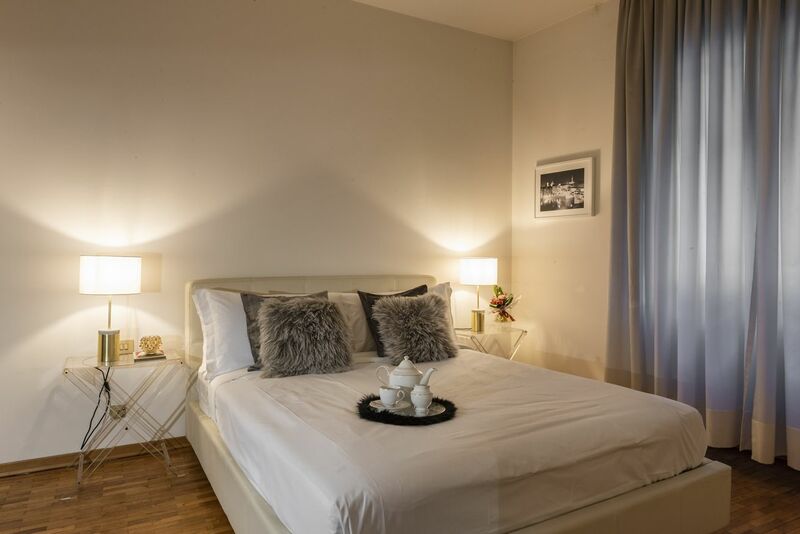 The master bedroom features a double size bed, the second bedroom also features a double size and the third features a single bed. 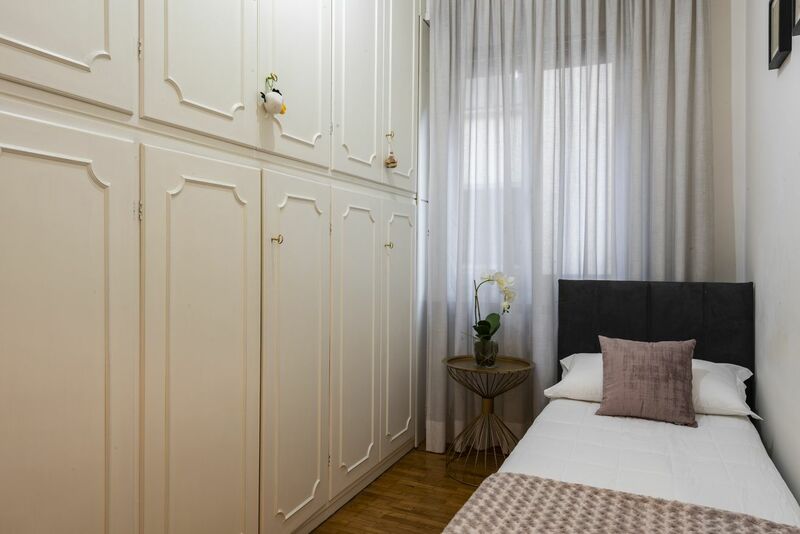 There is plenty of storage in all bedrooms. 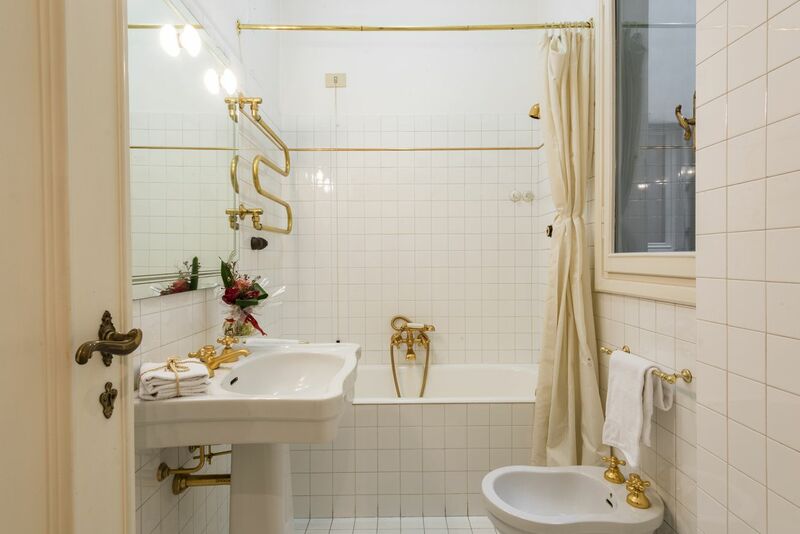 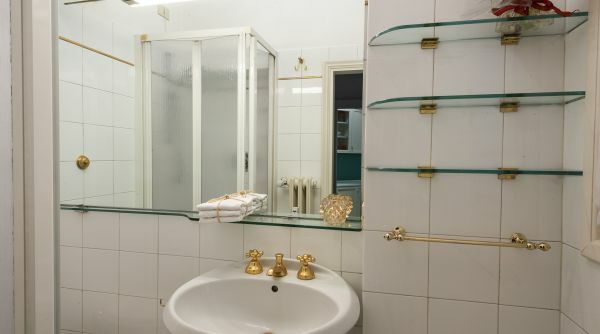 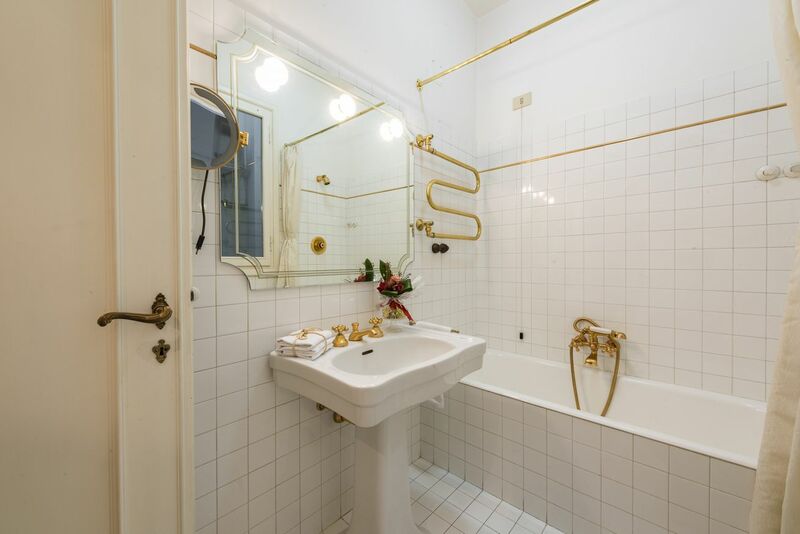 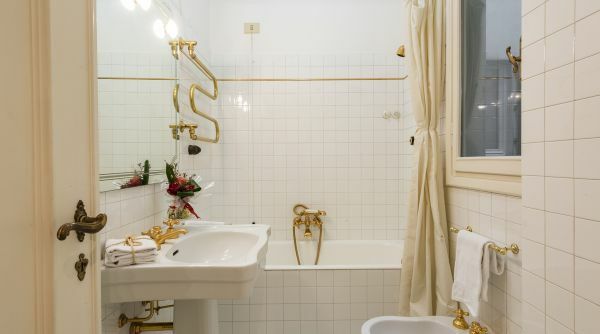 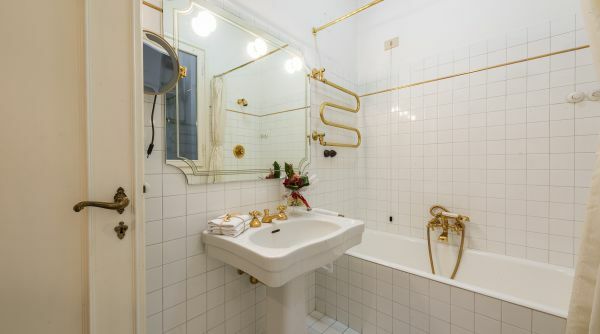 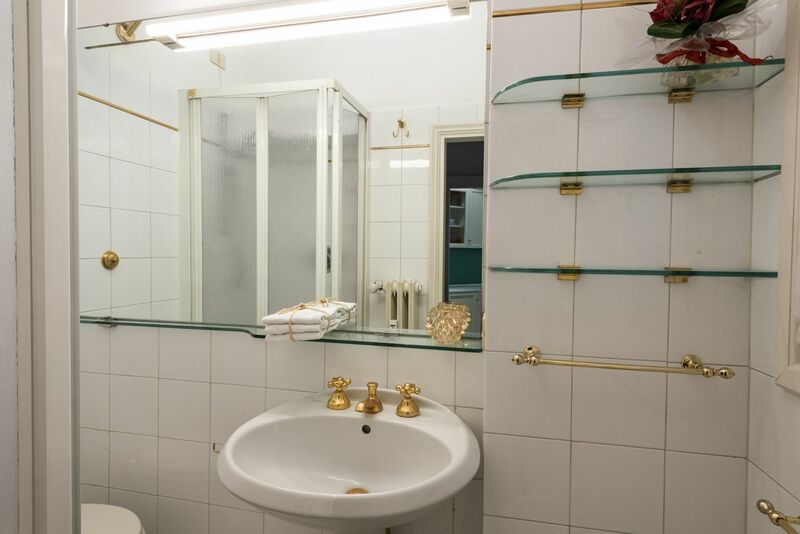 Guests will certainly appreciate the presence of two bathrooms with vintage elegant features– one with bathtub and the other with shower. 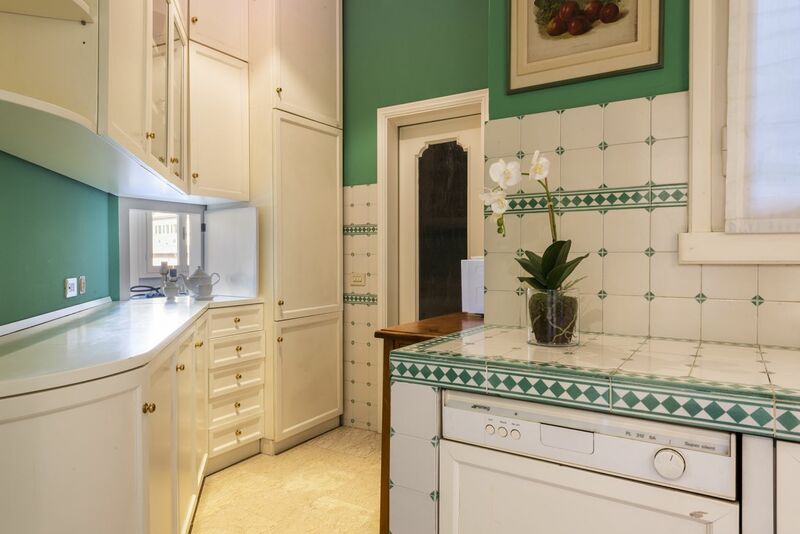 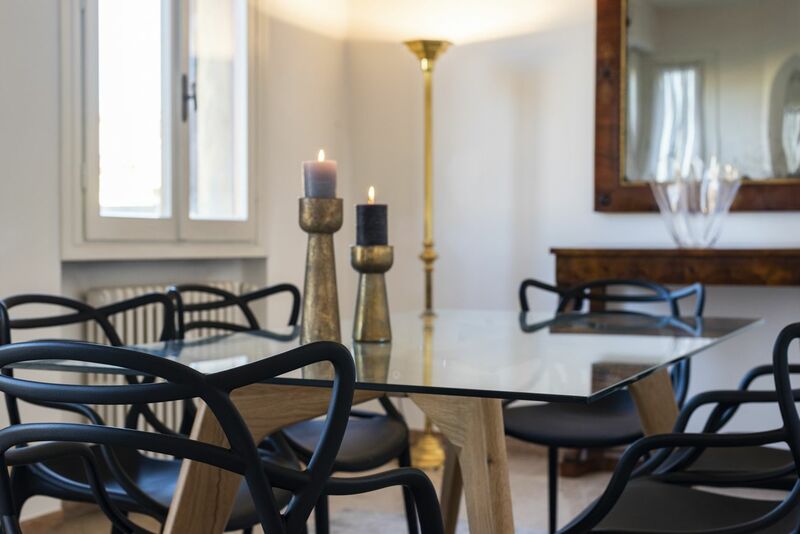 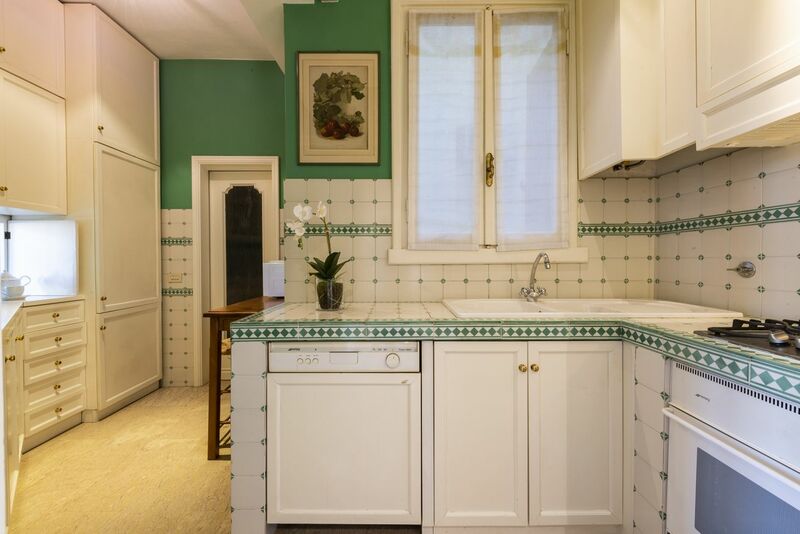 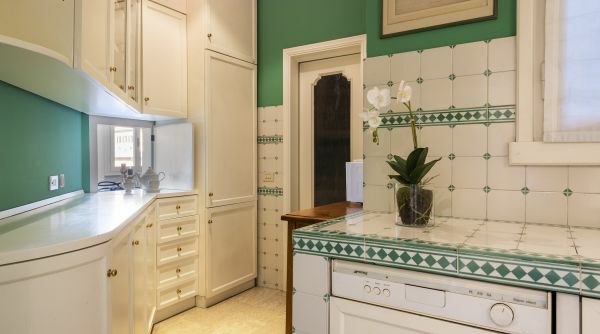 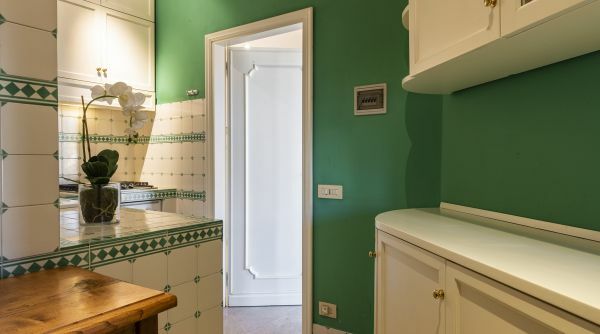 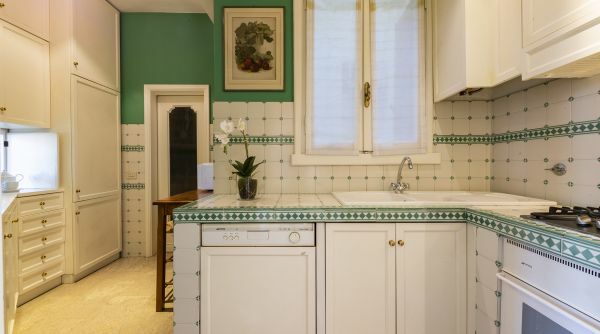 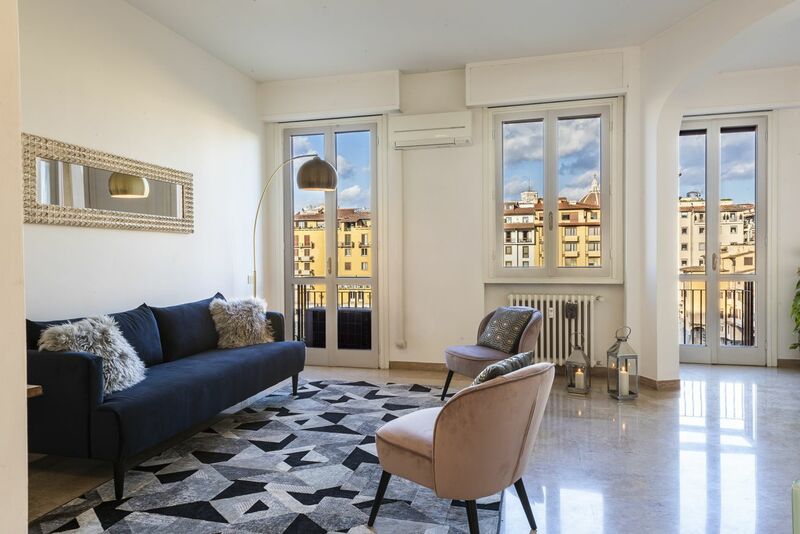 This unique apartment is ideal for a couple or a family who wishes to experience Florence staying in a charming and first class apartment, featuring an exceptional view over the world's most famous bridge. 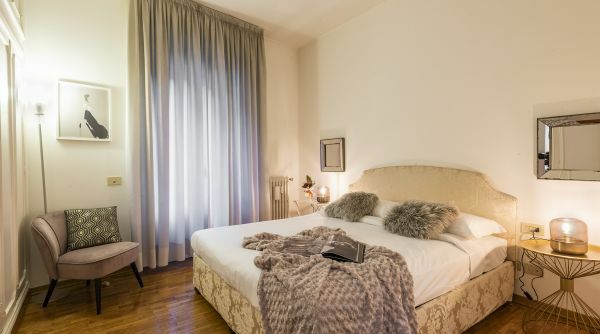 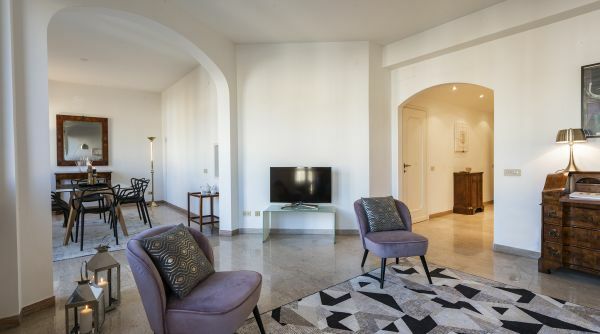 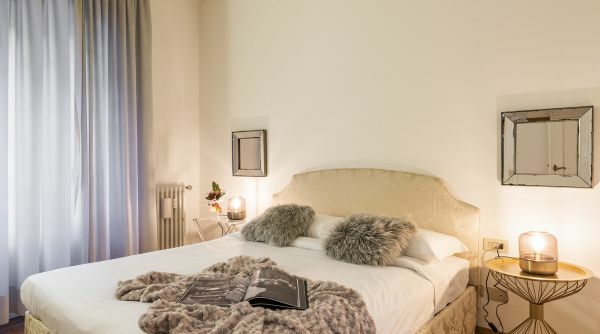 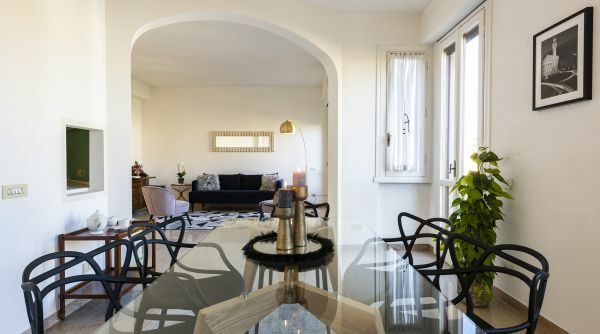 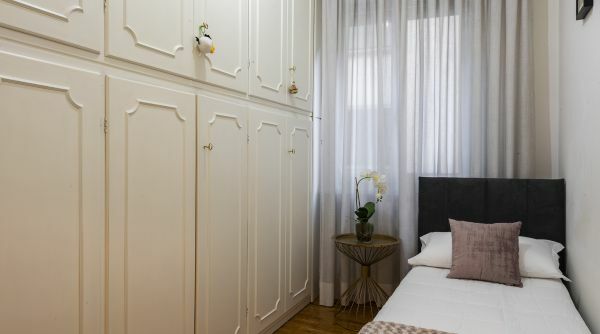 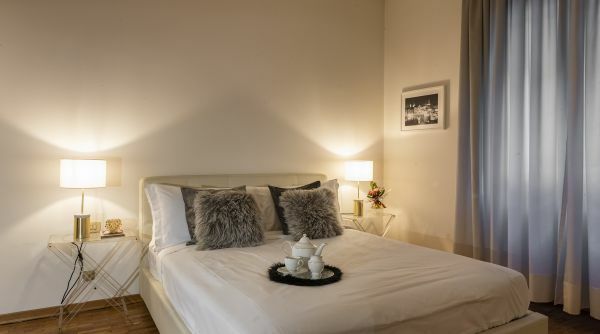 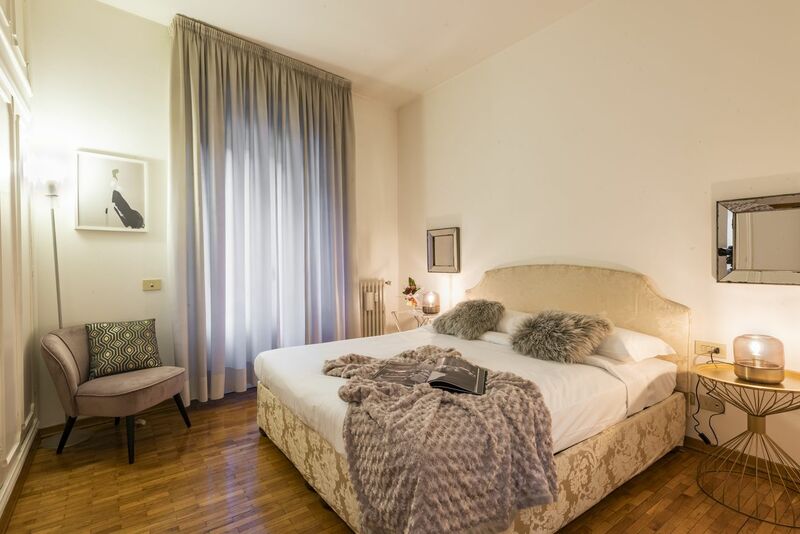 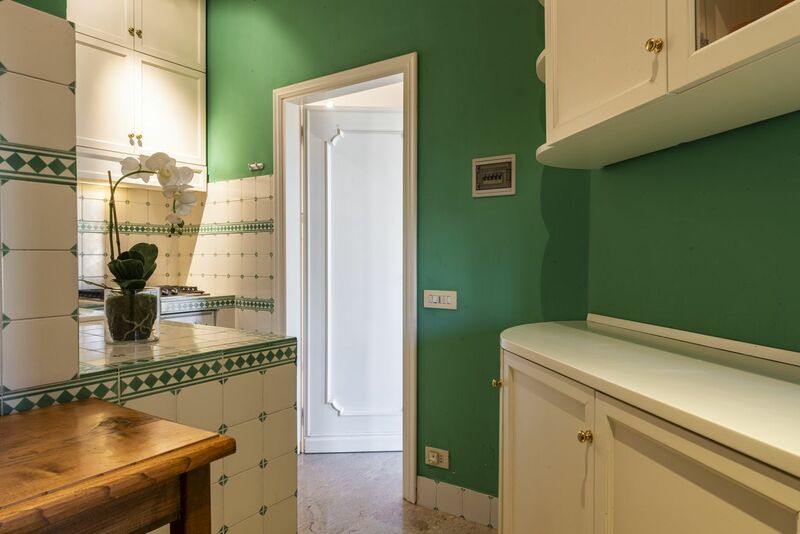 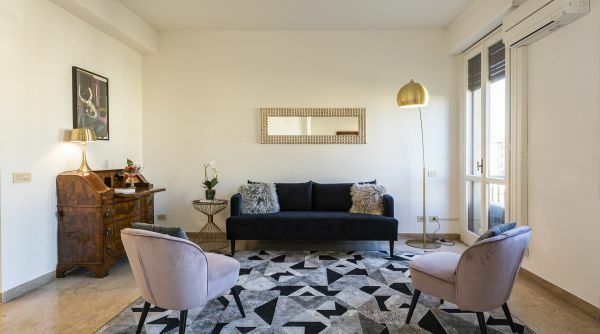 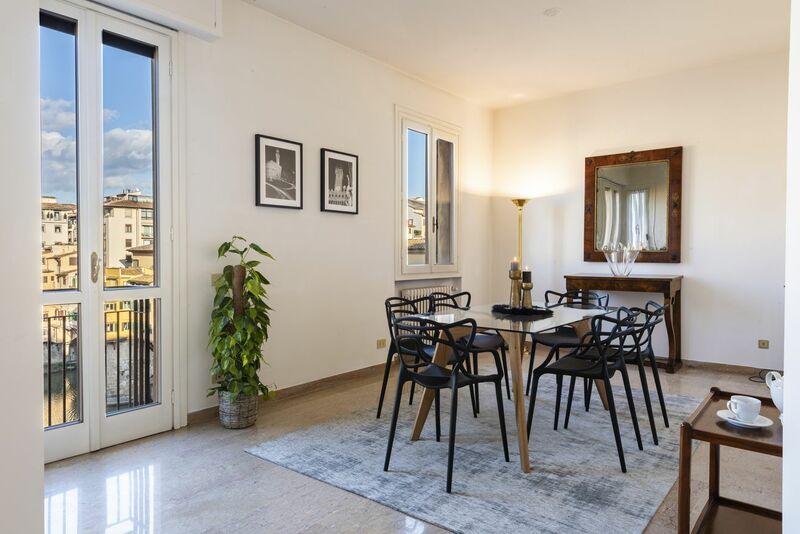 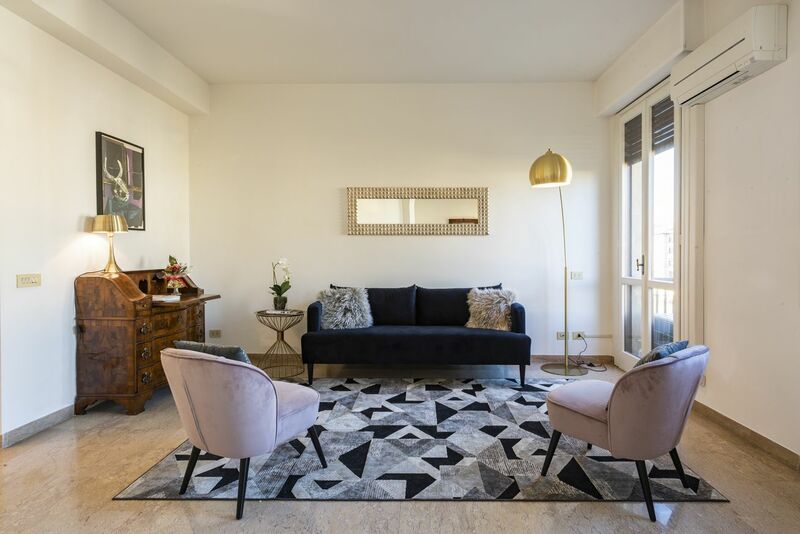 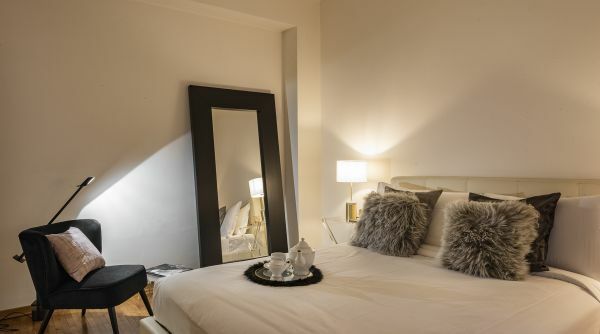 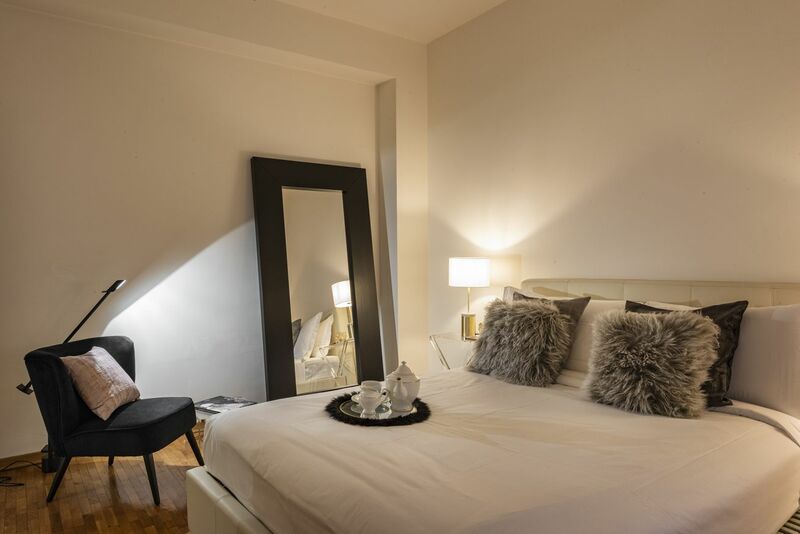 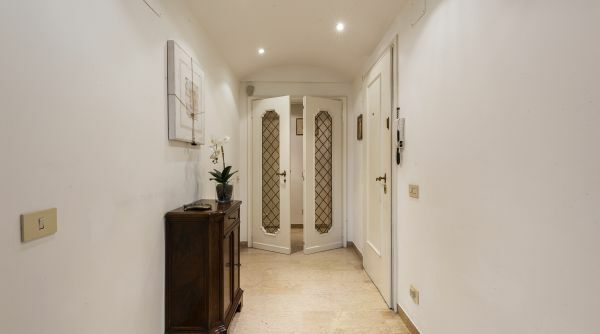 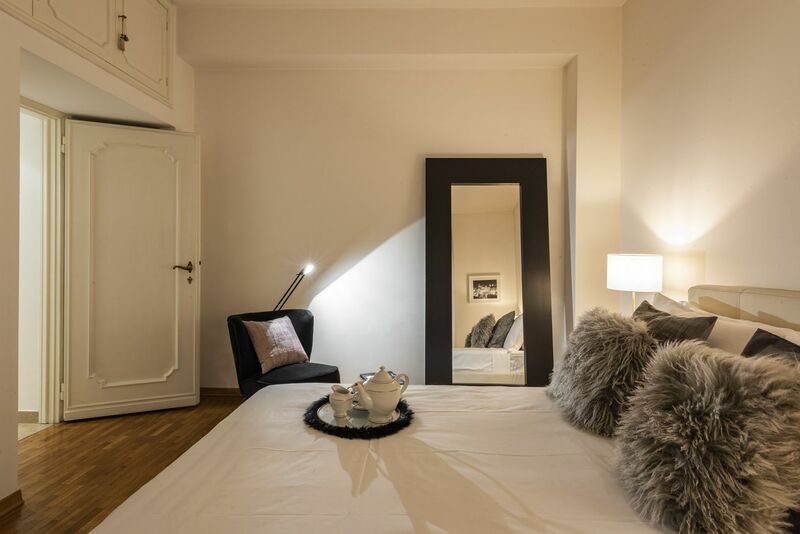 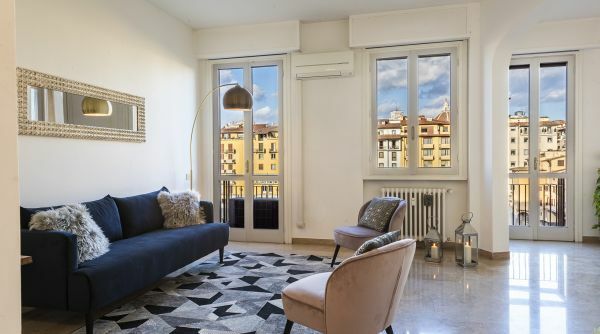 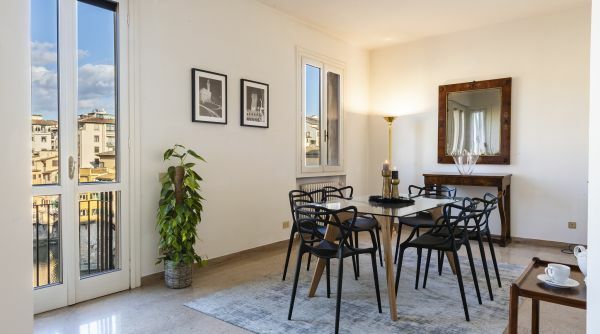 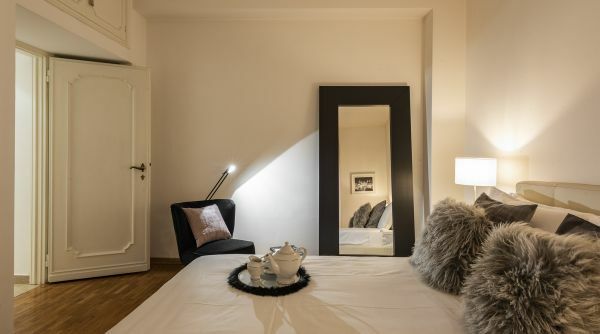 Choosing this apartment you'd get the chance to stay in a comfortable, refined and prime choice location, located just a few steps away from Ponte Vecchio, in the Oltrano area.